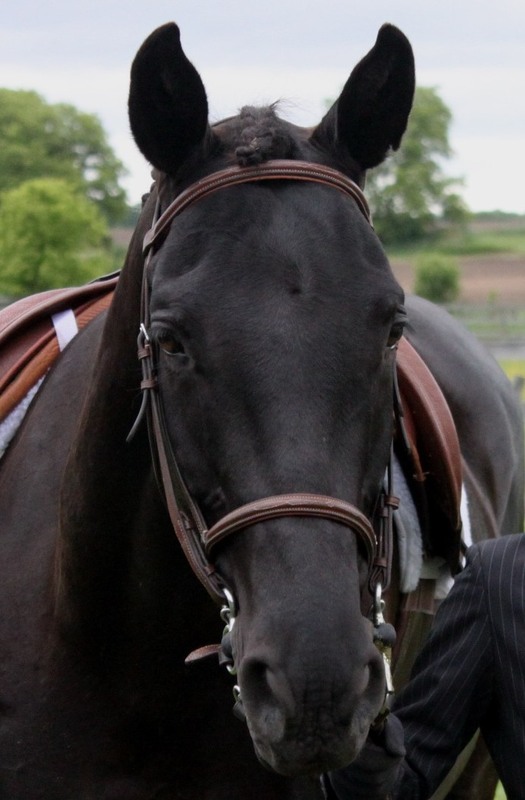 Maggie is a 7 year old solid black Warmblood/TB cross mare standing 16.1h. 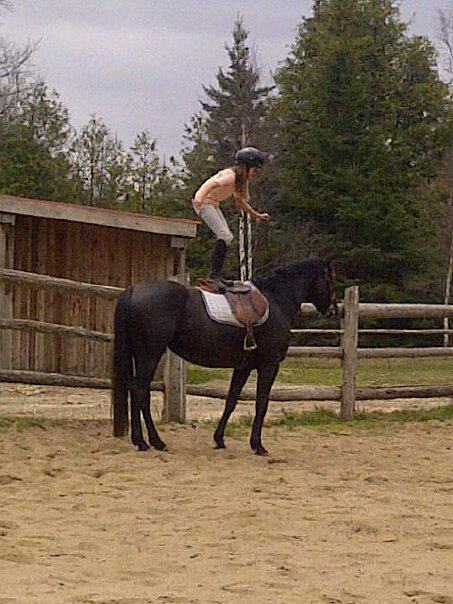 She is sadly for sale as her rider has developed allergies/asthma and she can no longer ride. 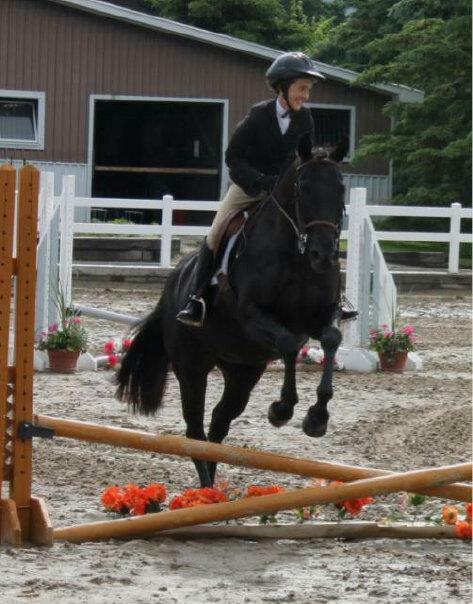 As a 3 year old Maggie was shown in dressage, and won several classes. She was then shown in hunter classes and always placed well. She was being prepared for her debut as an eventer when her owners asthma started becoming an issue. It has been a very difficult decision to sell Maggie, as a result she has been out of work for almost a year. Maggie will need a refresher and fitness, which is why she is priced where she is. A perfect home for this well loved horse is the top priority. 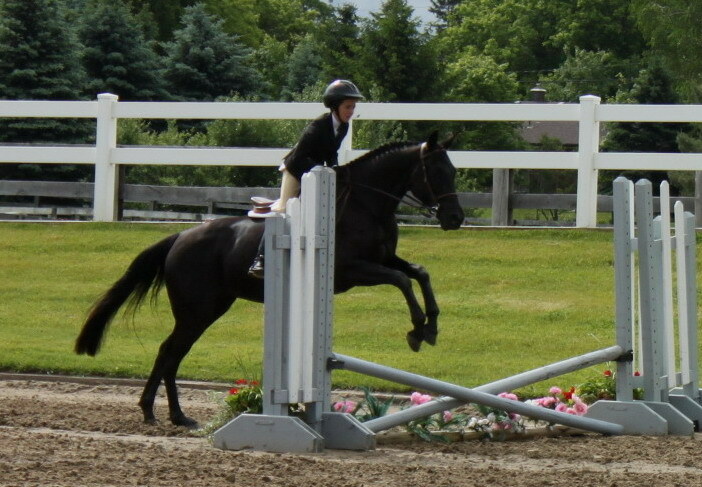 Maggie has a very big and athletic jump, was schooling a 3' course last year and was well started with lead changes. She is a brave horse, not spooky at all, has been exposed to many noises and sights, loves to hack, goes into water and has jumped some cross country jumps. 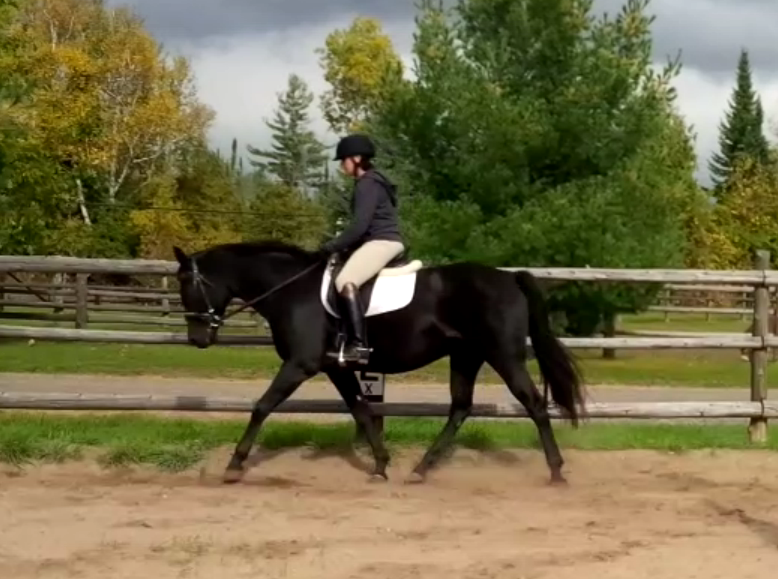 Maggie is not for beginners, she has been known to buck, would be best suited for a strong rider who wants a great horse, at a fantastic price, and is willing to put a bit of work into her as a project for next summer. She will easily be ready for next show season with consistent work. Maggie's pedigree is unknown, she was bought as a yearling and told she was a Warmblood/TB cross. 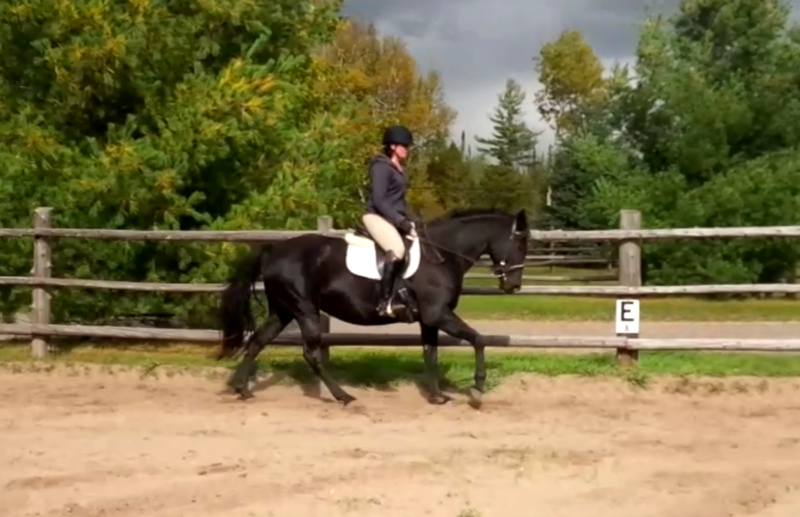 She is big bodied, moves like a warmblood, and is an easy keeper. She is barefoot and always has been, can live out 24/7, and has no vices. She loves attention and to be groomed. Pictures above are her first ride in 6 months. She easily rounds and is supple, she prefers a rider with a light hand. No video available. Please inquire if you would like to meet Maggie. Sold! Congratulations to Cathy! We look forward to hearing updates about Maggies future dressage career!